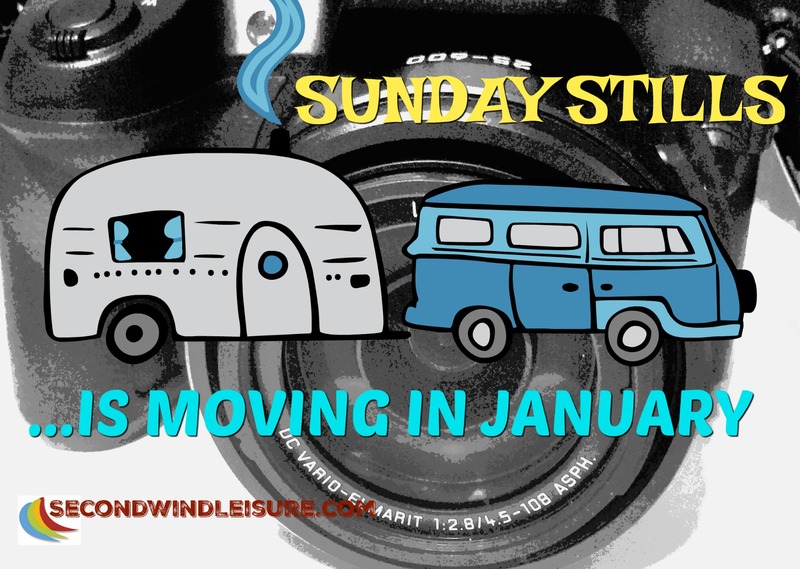 Sunday Stills is moving in January! While I take an extended travel break, the Sunday Stills photo challenge is being temporarily hosted by bloggers Carol Carlisle and Hugh Roberts. Please follow their blogs to keep up with the weekly challenge! Carol is hosting January 6 and 13, find her blog here. Hugh is hosting January 20 and 27, find his blog here. Visit my Sunday Stills page for the list of themes. Reminder there is no Sunday Stills challenge for Dec. 30th. I am spending Christmas with family in the San Diego area. If my schedule is on track, I should be on the road to Phoenix, Arizona at the time this post publishes. This is my official blogging break for the entire month of January, while my husband and dogs travel to Northern Arizona on a 10-day road trip. Since we are traveling with our trailer and camping, Internet access may be unavailable. Upon my return, I will have lots of new photos to edit, as well as to plan February’s Sunday Stills’ themes. The university’s spring semester begins the third week, so I will be prepping for that. But don’t be surprised if I stop by and visit your blogs when I can! Happy New Year and best wishes to all for a fabulous 2019! Thank you, they are over for now, but, oh the stories I can tell! All the best for 2019, Terri. Have a great trip. Happy New Year, Terri. Be safe, creative, and healthy. Have a great time! I am jealous… It will be awfully weird not hearing from you on Sunday! Can’t wait to see what you caught! Hi, Terri – Enjoy San Diego and Phoenix! I will pop by Hugh’s and Carol’s blogs to continue to follow this series. Looking forward to seeing your photos once you are back. Thanks, Donna! Were off to Sedona in the morning! Safe travels and return to us with some great photography. I have been away from home for 3 weeks and it is wonderful to be home again. Hope in the coming year, I can schedule regular Sunday Stills posts. Glad to know you are continuing the fun. We’ve just started and already having a blast, Leslie! I will be happy to be home in a couple weeks! Thanks, Liesbet! We’re meeting up with blogger Ingrid from Live, Laugh, RV in Phoenix in a few short hours! Happy New Year to you and Mark! Enjoy the meet-up with Ingrid! We hope to connect with her in Arizona in the spring as well. Terri, you found some terrific hosts to take over while you are away. By the way, you didn’t have Hugh’s link. Woops, thanks, Cee, I’ll get that fixed asap! Good time of year to be in Arizona! 😉 Enjoy your travels! Thanks for keeping the challenge going with Carol and Hugh, Terri. Hope you’ll be posting about your travel adventures! Be safe! Have a wonderful time on your break Terri!